Walnut Hill Cemetery offers custom monuments, markers and lettering service--everything from traditional to contemporary designs and even custom sand-blasted images can be ordered through our showroom. For ideas and examples, click here. Walnut Hill also pours new or can reset older monument foundations. 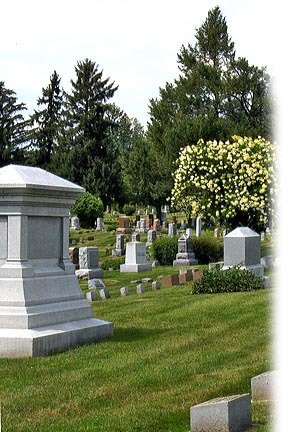 Cleaning, repair, straightening and basic care and maintenance of existing monuments and markers is also offered. We can create and install monuments in any cemetery -- not just Walnut Hill. For monument options, pricing or more information, please call us, or visit the Walnut Hill Cemetery showroom at 1805 East Street.